notes accidentally deleted. need to restore. 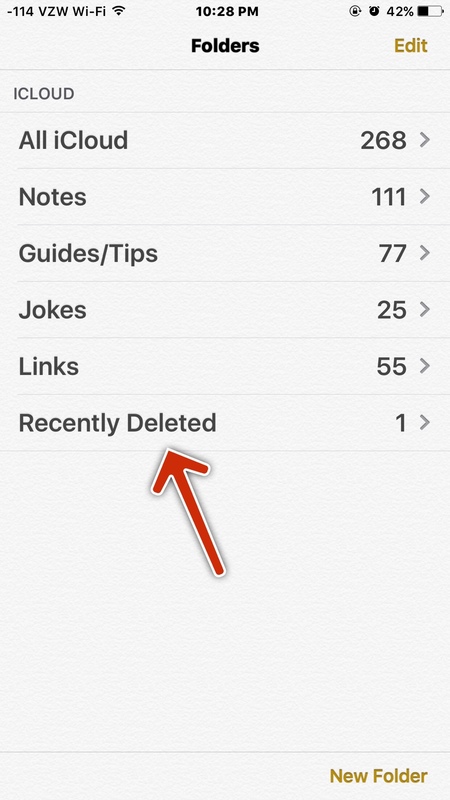 If you're referring to the native Notes app on an iOS device, then go to the "Recently Deleted" folder therein to restore them IF you haven't deleted the contents of that folder. I deleted my notes I need to get them back on to my iPhone 7. Any help? Did you look in the Deleted section yet? There should be a Recently Deleted folder in the Notes app. Check there. How do you like the new home button?